Is Phineas and Ferb: Star Wars on Netflix United States? Sorry, Phineas and Ferb: Star Wars (2014) isn't available on Netflix United States, but is available in a different country. 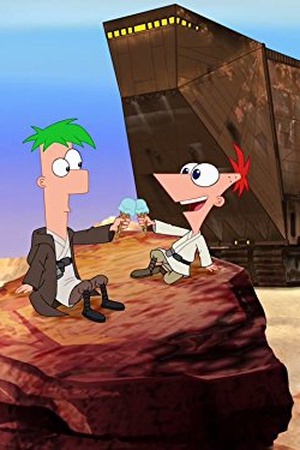 Phineas and Ferb travel to a galaxy far far away to help out some rebel heroes. The classic sci-fi adventure gets an animated makeover with this tongue-in-cheek spoof that finds Phineas and Ferb stirring up intergalactic chaos. Check the Phineas and Ferb: Star Wars (2014) trailer!